A holiday park is the perfect spot for a mini golf course. When people are travelling around in their car, caravan or motorhome, they like to relax with fun activities that aren’t too tiring. After a big day of driving, or exploring the local beach, lake or other attraction, something simple like a game of golf is the ideal way to unwind. 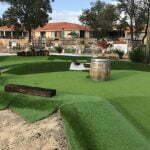 So if you’re thinking about building a mini golf course at a holiday park, get in touch with us at Mini Golf Creations. We can design and build a custom-made course for your specific site. 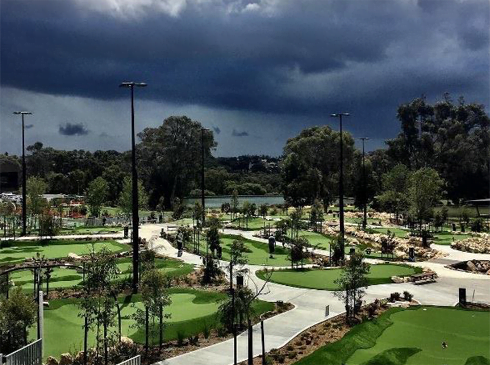 Why build a miniature golf course at your holiday park? A mini golf course will help convince more people to choose your holiday park, rather than driving further down the road to the next town. 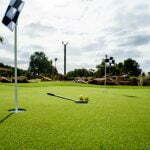 Mini golf courses are also a great promotional tool, as they look great in photos for holiday parks. Building a mini golf course at your holiday park will give your guests something engaging and entertaining to do. Whether they’re waiting to go on their next adventure, or want to get in holiday mode by grabbing some serious downtime, our mini golf courses are fun for the whole family. A mini golf course is a highly memorable attraction that encourages repeat customers. In other words, next time your guests are looking for a holiday park, they’re more than likely to remember yours and the good times they had there, and book again. A mini golf course is a low maintenance attraction. Unlike water slides, pools and other water features, a mini golf course is something that can be enjoyed all year round, regardless of the weather. If you decide to charge guests to use the course, it has the capacity to create strong ongoing returns for your business. 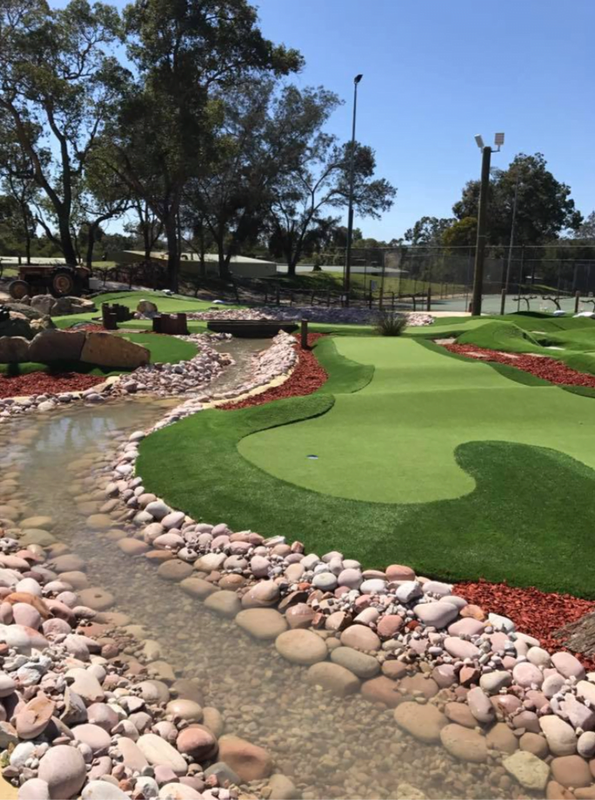 The expert team at Mini Golf Creations has decades of experience designing and building golf courses. 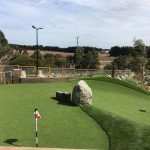 When you choose us to build a miniature golf course at a holiday park, you can be sure that you’re getting the best in the business to build you the highest quality product. Our mini golf courses play much like real golf courses, and can be enjoyed by children, adults and golf pros alike. Forget the old putt putt style courses with tacky gimmicks and plastic toys, this is modern mini golf at its best. Find out more about our construction team. If you’re thinking about building a mini golf course at a holiday park, contact us at Mini Golf Creations. We can explain further why it’s a great business investment for holiday park owners, and also arrange a time to have an in-depth chat about your ideas and needs. Let the experts take care of you, at Mini Golf Creations.